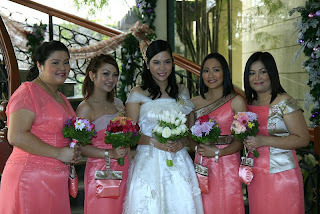 a very good friend and derma asked me to be her maid-of-honor on her wedding. 'twas an honor also to be trusted to be her mua for that day. time flies so fast, no? we've been friends for more than half of our lives...i still remember our highschool days when all we worry about are assignments, allowances and hmm, maybe a bit about boys? and now, she's ready to face another chapter of her life...together with her husband, Rhydel. i wish you all the best my friend...i love you and i'll always be here for you.